The NPS has used Esri products for decades. Now the service is modernizing the way it combines traditional desktop GIS with web GIS. Esri hosts NPS data, such as the U.S. National Park Service Protected Areas Database, on its GIS web service ArcGIS Online. People can access these database layers for visualization and analysis. Beginning its next century of service, the NPS has launched an initiative to make GIS available to rangers, volunteer professionals, and volunteer citizens no matter their GIS skill levels. Many park administrators prefer GIS web apps over their current desktop systems, because rangers find them easy to use. Park rangers have the most knowledge of the parks they serve and are a tremendous resource for mapping park features. Using mobile web apps, rangers can directly update the database, even though they know very little about GIS. For instance, a ranger may note that a bathroom is not listed on the park map or that a trail is on the map that shouldn’t be and then update the GIS database from the field. The GIS team can create apps that match users’ skill levels. America’s largest parks usually have a GIS department while smaller ones have part-time or no GIS staff. Now with web GIS all parks can access information and even use apps specific to their park. Skilled GIS users at the NPS regional GIS divisions use ArcGIS Pro to publish data and finish web maps online or in a portal. They can also use ArcGIS Online configurable templates to build and customize apps quickly for every park. NPS uses Esri web service ArcGIS Online to host its data. The data that the ranger submitted via the web app updates feature services. A geologist that has some GIS skills can use ArcGIS Pro to review the data and make changes. She can see the ranger’s edits, see the trail is a social trail, and flag it so that it doesn’t appear on the tourist maps. 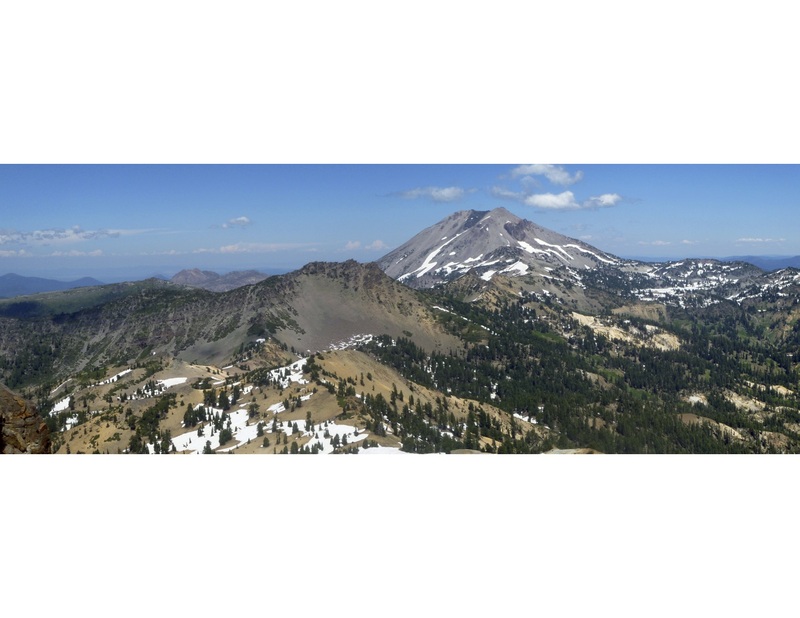 To commemorate the NPS centennial, Esri has published two beautiful online story maps. Celebrating 100 Years of the National Parks includes a timeline, photos, maps, and text to show the sequence of national parks added to the service during the past century. 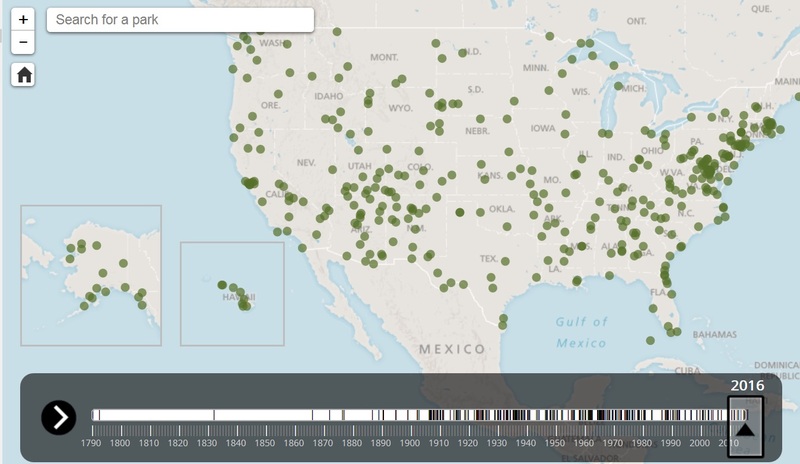 The 100 Years of the National Park Service story map is also a chronology. Through photos, text, and maps it tells the story of significant events in the development of the NPS. Covering more than 84 million acres, the National Park System boasts 412 areas, some of which are shown in this story map. 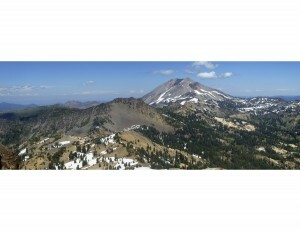 Lassen Volcanic National Park was the fifteenth national park established by congress 100 years ago.